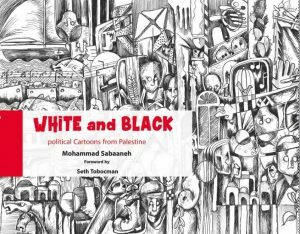 Celebrated, Ramallah-based cartoonist Mohammad Sabaaneh will bring his powerful wit and witness back to the United States this November: His speaking tour “Picture This! 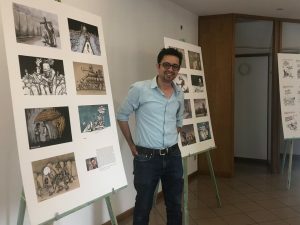 Life and Art in Palestine” is now planned to take him to a dozen public events in New York, New Jersey, North Carolina, Washington DC– and hopefully also the Pacific Northwest. 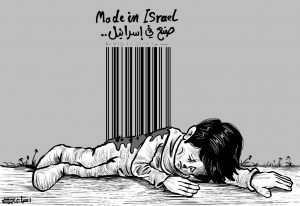 One highlight of the tour will be the opening, November 17, of an exhibition of Mohammad’s haunting and distinctive linocut art at Gallery Al-Quds in Washington DC. This opening will run 5pm – 8pm at the gallery’s lovely premises in DC’s Foggy Bottom district. 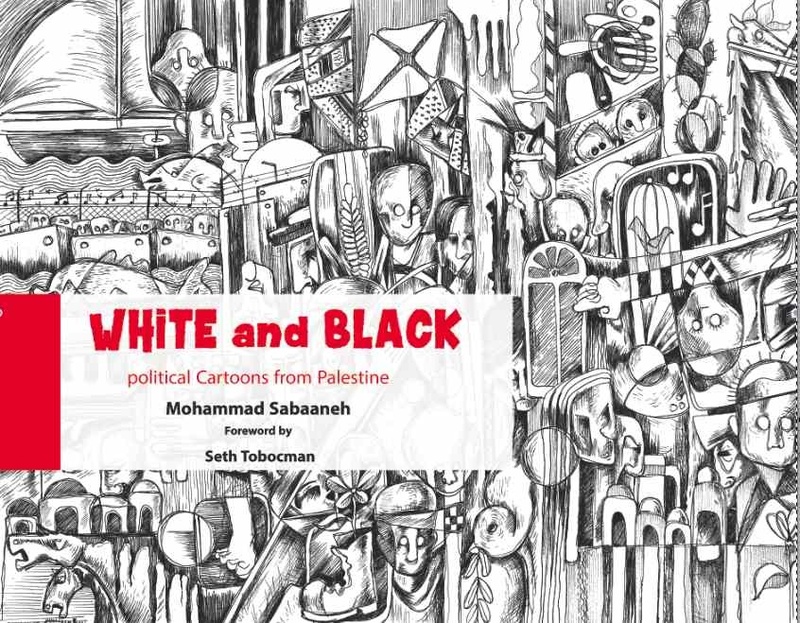 It will feature a conversation with Mohammad conducted by Robert (“Bro”) Russell, the Executive Director of Cartoonists Rights Network International– of which Mohammad is an active Middle East ambassador. Be sure to tell all your DC-area friends! The art show will run for four weeks, culminating in an auction of some of the works to be held December 15. Mohammad’s 2018 tour is a follow-up to the U.S. tour he undertook in Spring 2017. During the numerous gigs on his punishing schedule then, he proved himself as compelling a communicator orally (in either English or Arabic) as he is in his graphic work. 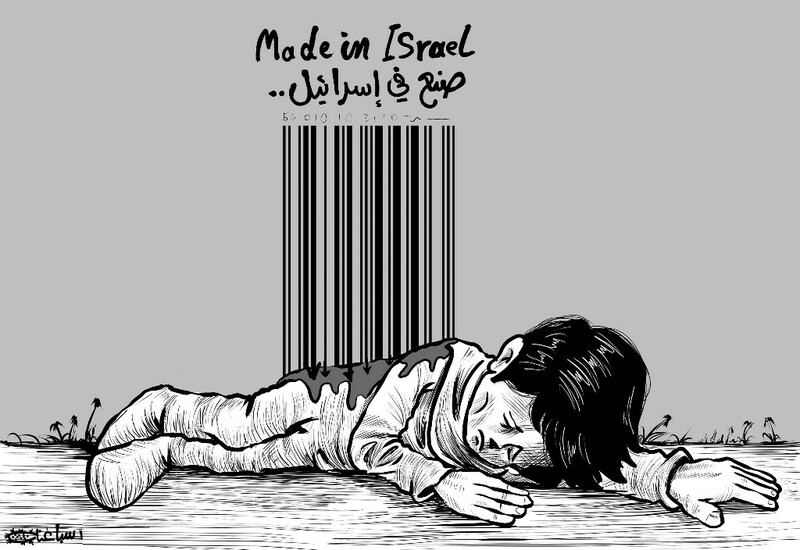 Since that tour, he has continued to travel widely and to win accolades both in Palestine and internationally. Last fall, he won the Medaille d’Or at France’s prestigious Marseille Cartooning Festival. Shortly after that, the UN’s Committee on Palestinian Rights hailed him– along with the late Naji al-Ali–as one of Palestine’s two best cartoonists ever: They even brought him from Palestine to feature in an exhibition and gala staged at UN headquarters in New York! 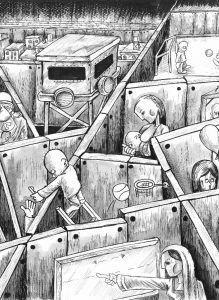 More recently, in late September, Mohammad’s “History of Palestine” frieze was lauded as breakthrough art in the US Campaign for Palestinian Rights’ first-ever artists’ competition. We’ll post his complete schedule here before the tour begins on November 6. In the meantime, a few dates are still available. If your organization is interested in holding an event for Mohammad, see what we’re asking of hosts, then get in touch with us pronto! To help you decide– but please do so quickly! — you can watch Mohammad’s interviews by Chris Hedges, the Cartoonists Rights Network International, and Daryl Cagle, or hear him on Public Radio International; watch a short film, “The Danger of Being Mohammad Sabaaneh,” by CRNI; read about him in the Seattle Globalist, the Electronic Intifada, Mondoweiss, and the Washington Post; or see the rave reviews that his book won from leading political cartoonists from around the world like Matt Wuerker of Politico, KAL of The Economist or of course Joe Sacco… Or, you can follow his impressive daily output on Instagram and Twitter.